This is another one of things I heard about a while ago but just ended up trying, and I am so happy I did! The addition of the cauliflower made for a sweeter, creamier version of mash pots, and I fell in love. I’m pretty sure this how I will make these from now on. No reason not to include more veggies in our diets right? Simple and sweet recipe for mid week, or a great accompaniment to a grill out on the weekend, this is a keeper. Roasted yams and cauliflower mash is the way to go folks! It has still been a doozy of a quarter! I had midterms this week, just for my Food Service Financial Management, but none the less it was challenging. I never get too stressed about school, and if I do, I power through and hardly show a sign. This was a bit different, I wore my shoulders as earnings and didn’t even notice until the midterm was over, plus I only missed one point. I went home with a sore neck, and screaming shoulders. I did not even realize I was stressing a bit until Super Bowl Sunday when I committed to making a spread for us to enjoy. I made the food, and studied during the entire game, and aced the test of course. But man I need a massage to get these shoulders down! I keep saying it and I mean it, I am so grateful to be graduating this quarter. 1/4 cream or milk (optional for creamier texture) I did not use it but it would be good. 1. Place chopped cauliflower and yams into a large bowl and toss with 2 tablespoons of olive oil, 1 teaspoon of salt, and 1/2 teaspoon of fresh ground pepper. 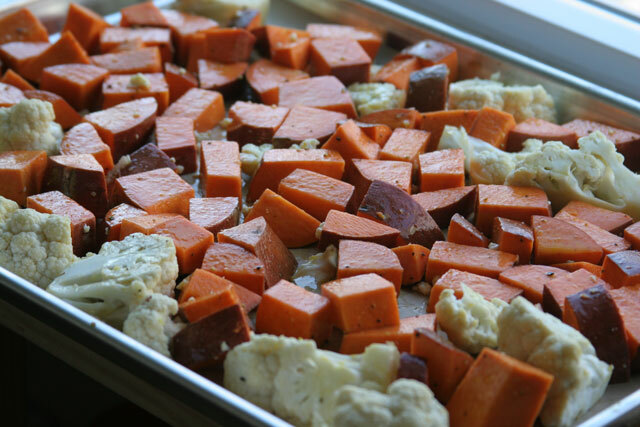 Place cauliflower/yams on a sheet pan lined with parchment paper or in a pyrex oven safe dish. Place in preheated oven for 30 minutes. 2. Place butter in the bottom of the large pot, melt the butter of medium low heat, add the garlic and cook over medium low heat until fragrant about 2-3 minutes. Add the yams/potatoes, mash using a potato masher. Season with about 1/2 teaspoon of salt, and 1/2 teaspoon fresh ground black pepper. Taste. Does it need more salt and pepper? Add a very small pinch at a time until it is the desired seasoning you enjoy. 3. It should be creamy and flavorful, if you wish for more creaminess you can add 1/4 cup of cream or milk. I did not add either, but it would be good. 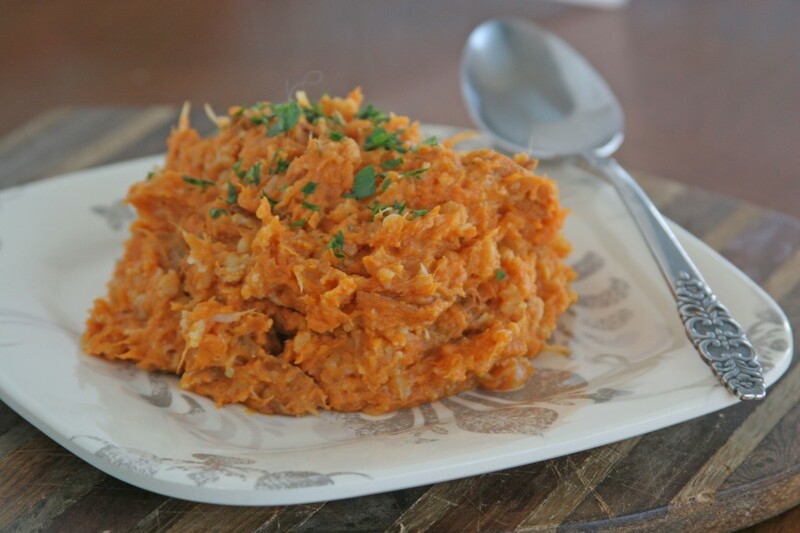 To bump up the flavor of the roasted yams and cauliflower mash, add a pinch of chopped parsley when you serve.